Roger has worked in the railway industry for over thirty years, the first twenty-three in a variety of operational and business roles, culminating in his appointment as Managing Director of a train operating company, where he successfully completed a management buy-out. He is advisor to the Royal Household on the financing, composition, maintenance and operation of the Royal Train. He has an Honours Degree in Geology from Liverpool University. His uniqueness in the railway industry stems from his having worked in senior roles across the board in operations as well as train and infrastructure manufacture and maintenance. Jeremy is an Oxford University graduate. He subsequently studied law and gained substantial international experience throughout Europe, working primarily for heavy industry multi-nationals e.g. Thyssen AG, and Ferrostahl GmbH. He also worked for management consultancies such as Industrial Market Research Ltd and Management Engineers GmbH, specialising in market assessment and investment analysis for Europe’s heavy engineering sector. Most recently, from 1986 onwards, he has run his own consultancy, specialising in securing grants and incentives from the UK and EU (see www.grantaid.com). In particular, he has focused on identifying and obtaining grants for both UK, European and overseas companies. Latterly, this has developed into fundraising for the same group of companies from venture capital and private equity sources. He and his company are/were included in The National Consultants Register, EMDA Brokerage and The Supplier Matching Service. At the same time as running his own consultancy Jeremy was the Director General of the Institute for Independent Business (see www.iib.ws). The IIB, based on the motto “practical advice that works“, was established as an independent information and advice centre for SMEs, initially in the UK. As Director-General, Jeremy was directly responsible for strategy, policy and implementation of the Institute’s expansion programme, which has led it to become an international organisation with over 4,500 accredited associates with skills ranging from accountancy to zoology. Fred has been involved in railway civil engineering for over forty years. Since early 2009, he has been providing services to rail industry clients in marketing, business development, tender and tender review, project appraisal, development and management. He has been involved in engineering at the ground level, including being a Bridge Engineer in his early career. His later career involved Project Management on the Channel Tunnel rail route (before the high-speed line), a project that was delivered on time and within budget. Since the privatisation of the rail industry, he has been involved mainly in commercial roles: contract management, bidding and procurement. 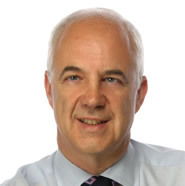 Up till now he has worked principally for AMEC and its successors COLAS..
Fred is well known in the world of rail infrastructure and, by the same token, knows many of the people in procurement and projects. Fred has Masters degrees and is a Fellow of the Permanent Way Institution.